For the first time a settlement has been reminded as Sent-Miklosh in 1214! 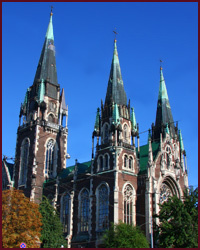 That name originates from estate named in honor of St. Mykolay. 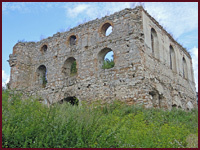 Although Ruthenians founded that settlement under the name Chynadievo, at the same time the name Sent-Miklosh had been reminded in the documents till 1944. In 1264 the king Ishtvan the Fifth presented Chynadievo to Master Aladar. After a while Chynadievo became a center of dominium. In 1387 tycoon Pereny became the owner of that dominium. 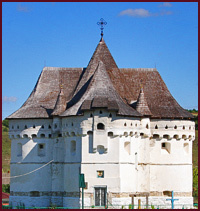 The castle was built in the 15th century. 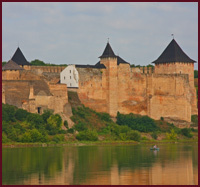 It was surrounded by ground banks and ditch, the Latorytsa River protected access to the castle from the southern part. A strict grey building resembles us a rectangular two-storied house. Austerity demonstrates the Roman style. There is only one adornment on the windows of low row – it is a simple ornament. There are the windows of loophole under the roof (altogether there are about 46 + 9 on the towers). 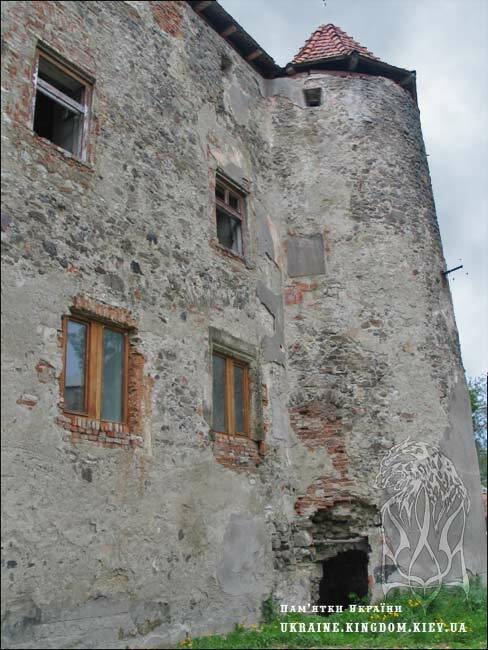 The basements are located under the castle. On the ground floor there were six rooms, hall, chapel, on the first floor there were also six rooms with a hall. 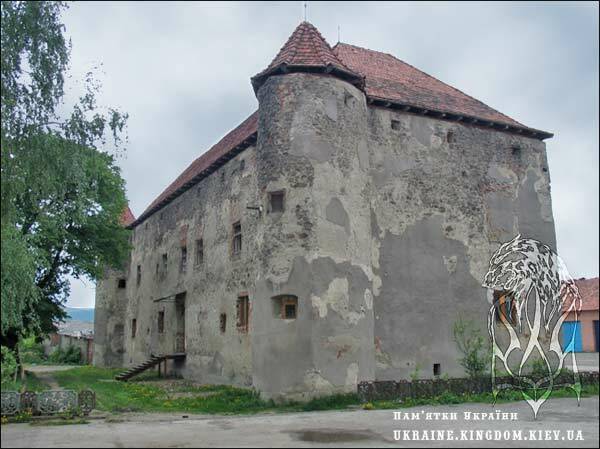 The castle had been reconstructed under the influence of its ownesr (Mykhailo Telegi in 1574, Istvan Nyari in 1625, Lonyi in 1640, Shenborns in 1726) and as a result of its direct meaning to be a defensive installation. After an attack of Polish troops under the head of prince Lyubomirsky in 1657, the castle was reconstructed greatly after a severe damage. 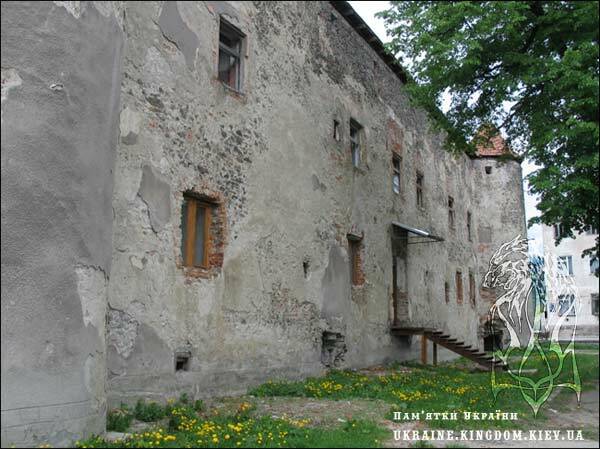 In 1703 Ferentz the Second Rakoczy had been there after a defeat during a battle against Austrians near Mukachevo. The castle was reconstructed again and became modern after reconstruction in 1839 under the head of architect German Ignatsy. A human skeleton walled up was found during restoration. The castle seems to look like as a ghost from the Middle Ages now. 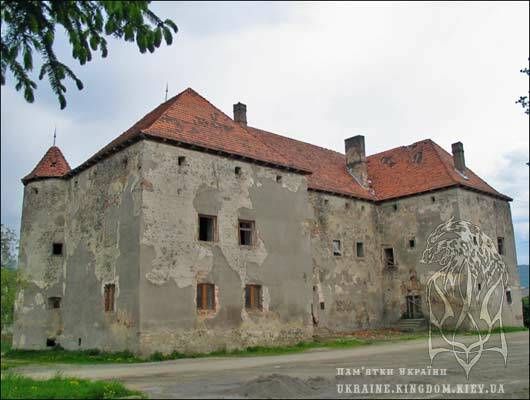 The castle is situated in the park which was founded in 1749 by the owner of the castle Ferentz Bashynadi.